Denver on a Spit: A Denver Food Blog: A Westword Web Award? Who me? The other night (Thursday, November 18th to be exact) I found myself in that hip and warehouse-y part of downtown that I usually find myself in only by accident or when trying to park for free during a Rockies game. Last time I was over here was for a Hush dinner-- and then there was the foggy night when I ended up dancing for hours at the club Tracks during lesbian night, but that story is for another day and probably for a different kind of blog. Tonight I was in Casselman's, a bar and self-proclaimed "venue", which in the grand scheme of simple, descriptive and non-pretentious naming is right up there with "Eat Bar". 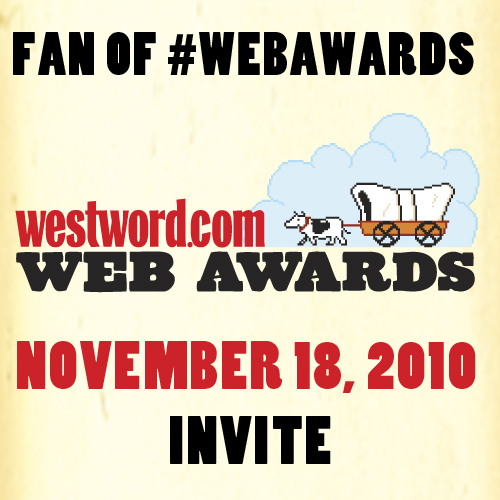 I was here for none other than the first annual Westword Web Awards, and in particular as a nominee for Best Food Blog. Now this nomination came as a total shock to me. I know there are some "followers" of this blog because I see your little icons on the sidebar, and I have noticed that the email list was starting to grow to names I didn't recognize (that is, beyond my mom and closest friends)-- but I honestly never thought that anyone took me that seriously. And it still might be that people don't take me seriously (you shouldn't really), but either way I was even more shocked that when the awards got going, the name of my blog was announced. And it wasn't like at the Oscars (or the Latin Grammys) where they announce all the candidates and then pick a winner-- no, I actually won. 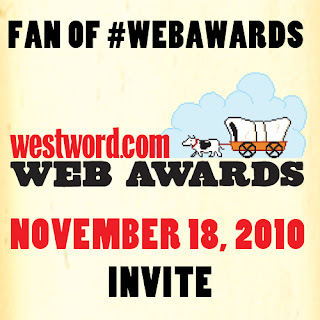 In the end all that I can attribute it to is you (and of course Westword and its discerning judges). Whoever you all are that decide to click on my email blasts or type my url into your search bar, thanks. I truly appreciate your clicks, visits, tweets, other internet-related things and mostly kind words. I think this post turns out to be #103, a monumental milestone I suppose, considering that I started knowing little about what a blog even was, and still have trouble navigating all the ends of the internet. Here is to at least another 100 or so. Felicidades! Well deserved. Remember I knew you before the award. Looking forward to more reviews and tips on places to get my grub on. FYI, I went to Red Claw off of Alameda and Federal today - Vietnamese/Creole. An interesting blend - had the fried wings with fish sauce and an excellent beef/pepper dish (the name escapes me now). Mark - You captured the evening perfectly! My food blog was one of the five finalists, and I've poste more info about other nominees at http://bit.ly/bH3YSV -- if you're interested (or even if you're not).